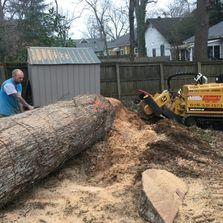 Atlanta's top choice for stump and tree removal. We are also working in the Gulf assisting the people of Panama City Beach Fla. and Lynn Haven Fla. with their recovery. Whether you own a home or a business, we can keep your property safe and beautiful by removing hazardous, unsightly tree stumps and brush. We’ve been clearing away tree stumps and debris for more than 18 years. We customize our services to ensure your property looks amazing. 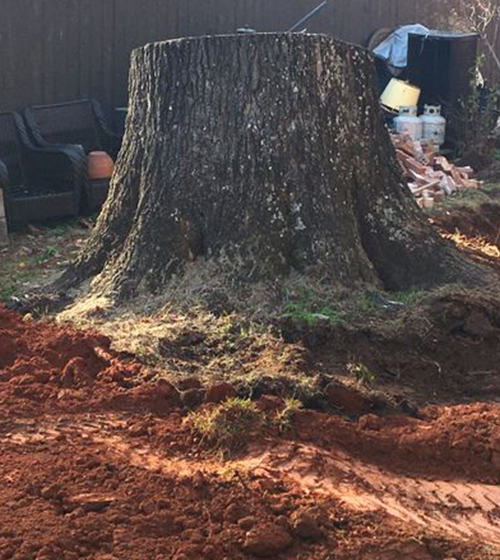 Since 2005, we’ve provided world-class residential and commercial stump removal services in Atlanta and the surrounding areas. We’re proud to be the premier eco-friendly solution for home and business owners who need brush and tree stumps removed from their properties. 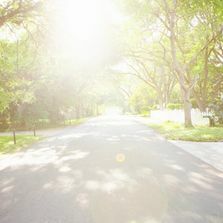 Not only are we fully insured; our affordable prices, quick response times, and years of experience make us your obvious choice when it comes to making any property as beautiful as possible. Our tree removal company pays special attention to the details of every project to ensure the complete satisfaction of each client. 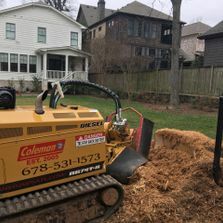 Whether a storm has knocked a tree down or it’s simply time to change up your landscaping, choose Coleman Stump Removal. Our goal is to enhance the exterior of your home or business, raise your property value, and beautify your whole neighborhood. Your satisfaction is our priority, and we strive to provide a service we are proud of. We start every project by providing a thorough consultation to understand your goals and the needs of the project. By taking the time to do our homework, we’re able to surpass your expectations while staying within your budget. A low impact, eco-friendly stump grinding outfit. We get to customers on the same or next business day. We serve both commercial and residential customers. We Have a $100 minimum, and each job varies in price. We also offer industry discounts for professional tree experts. Call for a free estimate. In the interest of us and you, it is near impossible to give a price over the phone or by pictures. We are more than happy to come out and give a free, no obligation estimate. Coleman is a name you can trust. ©2018 Coleman Stump Removal - Do not copy. All rights reserved.